It's Here! My debut Historical Romance BACHELOR BUTTONS is finally in print! But since I can't send Lucas out to the whole world to hold and cuddle, I'll tell you more about my book baby. Introducing my book baby, Bachelor Buttons! Murray Pura and Helping Hands Press presents CRY of FREEDOM, a commemorative collection of novellas celebrating the 150th anniversary of the Civil War in 1863. Bachelor Buttons is volume three of this 15 part collection. Special thanks goes out to Murray Pura, Giovanni Gelati, Carrie Fancett Pagels, and Debbie Lynne Costello, who all played a big part in bringing this story to you. With 30 reviews to date, Bachelor Buttons is currently rated 4.9 out of 5 and is #17 in top rated Civil War fiction on Amazon. "A very sweet, fun, adventurous and engaging story you won't want to miss!" " . . .what made me LOVE it--was Kathleen Maher's commitment to history (even the parts we're not proud of), and the sweet romance that unfolded against the backdrop of war." "Kathleen Maher has a fresh and pleasant writing-style which makes this story an enjoyable read." "Lots of action, beautiful descriptions, and a sweet romance make this a fantastic story!" "The author captured the sights and sounds so well, I had to re-orient myself to the 21st century after emerging from the book." "This story was a fun, humorous and touching enovella from the very beginning! There is also plenty of romance, faith, and . . . I utterly enjoyed every bit of it and it definitely is a fine addition to this series." I am so thrilled at the arrival of my first book baby that I am offering a print book to one lucky winner! Leave your email addy with a comment and you have until July 30 when I will draw the winner via random.org If you sign up to follow this blog, or you share this giveaway on FB, Google+ or twitter, that is one extra entry each. Kathleen L. Maher is a 21st Century gal with an old soul. Her debut historical novella Bachelor Buttons came out through Helping Hands Press in 2013 and incorporates both her Irish heritage and love of Civil War history. She won the Genesis Contest for unpublished writers, historical category, in 2012. An active member of American Christian Fiction Writers since 2008, Kathleen created Civil War HIStory yahoo group for CBA writers. She also co-founded CROWN Fiction Marketing Network. Kathleen contributes to several writing and history blogs and enjoys reviewing new releases. Kathleen and her husband live in an old country farmhouse with their three children, two rescued Newfoundland dogs, and a tuxedo cat. Welcome Dixie! We are so happy to have you here this week, and that you have agreed to share a bit about yourself. Q: First of all—hot fudge brownie sundae, chocolate covered strawberries, carrot cake, or spinach and artichoke salad? J note the sliding scale from decadence to health? Ummmm chocolate covered strawberries for sure!!! About 20 years ago when I decided it would be fun to take a writing composition class at my local college. I was like a duck that found water! Absolutely loved it! My faith is who I am. I cannot imagine doing anything without it being within that realm. Wow, how fun would that be? I think I would interview Mary of Magdala from the times of Jesus. I would ask her what it was like after He delivered her and she was in His company for the few years before He returned to heaven. Q: What an amazing interview that would be! Who have been your mentors, and how did they help you most? My life has always been one that at the right moment in time God would bring a gifted mentor into my life to drop a few nuggets of wisdom, and then they would be moved on. There are so many that I have grown from knowing and applying what they taught me to my own life. Since my book is a memoir, my prayer has always been that readers will see that there is healing from the worst possible emotional pain one can endure and hope for a life that is more than they ever imagined. And that they will find true relationship with a God who is very real and involved in our everyday lives. My next book will be entitled, “Fifty Ways to Meet Your Lover” and will be a compilation of daily stories drawn from my walk of faith. Do you know that you were created with a purpose and a plan, and that everything you have encountered in your life can be used to, not only move you into that plan, but to help others who have experienced the same thing? Thank you for being with us this week. I wish you every blessing as you write for His glory. Thank you, Kathleen, for this opportunity!! Climbing Out of the Box is a totally honest, deeply-felt memoir written by a courageous woman who has not only survived, but triumphed over, childhood sexual abuse, a dysfunctional family, loss of identity, rejection, self-denial, divorce, and spiritual abuse. Now a successful Certified Life Coach, author, and speaker, Dixie Diamanti has so much to teach us about childhood and adult struggles – physical, emotional, psychological, spiritual -- and the often-precarious journey from unsatisfying religious practices to a true and enriching relationship with Jesus. You will laugh, wince, cry, and be inspired as you walk with Dixie on her path from darkness to light, from captive to free and fulfilled child of God. A compelling story all spiritual seekers should read! 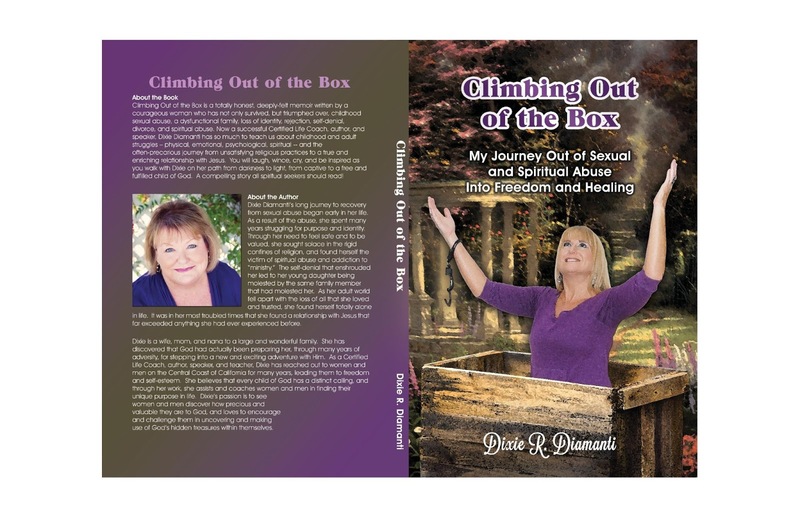 Dixie Diamanti’s long journey to recovery from sexual abuse began early in her life. As a result of the abuse, she spent many years struggling for purpose and identity. Through her need to feel safe and to be valued, she sought solace in the rigid confines of religion, and found herself the victim of spiritual abuse and addiction to “ministry.” The self-denial that enshrouded her led to her young daughter being molested by the same family member that had molested her. As her adult world fell apart with the loss of all that she loved and trusted, she found herself totally alone in life. It was in her most troubled times that she found a relationship with Jesus that far exceeded anything she had ever experienced before. Dixie is a wife, mom, and nana to a large and wonderful family. She has discovered that God had actually been preparing her, through many years of adversity, for stepping into a new and exciting adventure with Him. 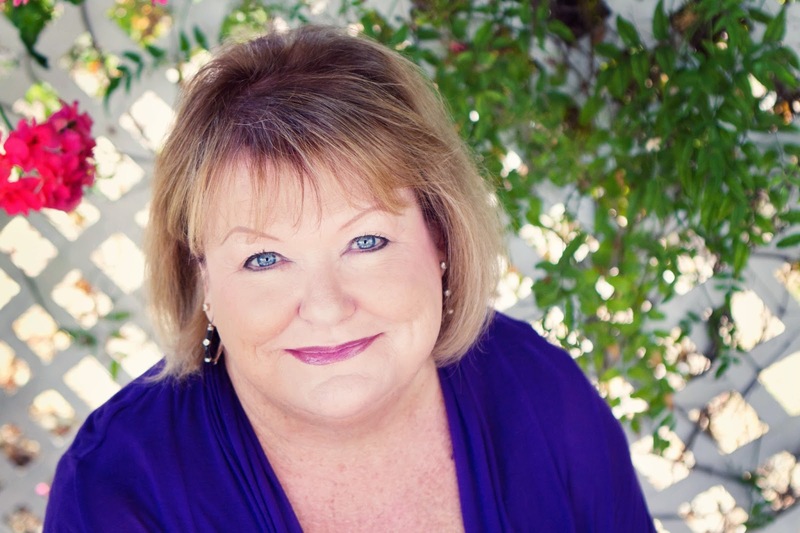 As a Certified Life Coach, author, speaker, and teacher, Dixie has reached out to women and men on the Central Coast of California for many years, leading them to freedom and self-esteem. She believes that every child of God has a distinct calling, and through her work, she assists and coaches women and men in finding their unique purpose in life. Dixie’s passion is to see people discover how precious and valuable they are to God, and loves to encourage and challenge them in uncovering and making use of God’s hidden treasures within themselves.